Running is fundamental. I was going to say it was a passion, but it goes much deeper than that. 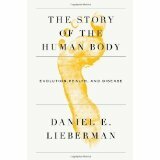 Since I started to get involved in changing to a more natural running style I began reading a lot of material on the technique, biomechanics and human evolution. These areas haven’t quite intersected completely in current publications and so I will bring them together. First, let’s talk about the reason we run. More than that, there is a particular set of reasons that running has sustained us for millions of years and been one of the significant contributions to our mental and physical development. About 3 million years ago the first human like creatures left the forests and started to roam the savannah that was developing and eating up the rain forest. To survive we needed to walk erect to see above the grasses and small trees. We also needed to move our heads back and forth and keep a constant vigil to find food and to not become food. The more we moved, the bigger our brains got. The bigger our brains got, the more high potency calories we needed. The human brains uses about 20% of our bodies energy. Gathering and foraging is great to keep a basic level of energy, but fresh meat had an abundance of protein and fat calories that our hungry brains needed. It is probably likely that in those early millennia we scavenged as much as we foraged. Remember, we didn’t really have any weapons for hunting from a distance, like spears and arrows. If we killed game it was up close and personal with instruments that were in close proximity. How, then, did we kill game that gave us huge caloric benefit? Persistence hunting. Persistence hunting was done until the 1960s and seems to be the solution that best fits the needs of our ancient relatives. In persistence hunting a group of hunters work together to isolate a large animal from the rest of the herd. This was usually timed during the hottest part of the day. A big animal being made to run hard during the hot part of the day will fatigue fast. This type of hunting was science, not just random work. They managed the situation to the advantage of the human over the beast. As a team, the hunters tracked the animal, keeping it from rejoining the herd and making it sprint repeatedly to get away. It might take a few hours and cover as much as 25+ miles, but the big animal would eventually succumb to heat exhaustion and would either die right then or be unable to flee getting battered with a club or rock. The end result would be very potent caloric reward. There are two important factors to keep in mind. First, the process of tracking was demanding. At times the hunter would lose sight of the animal and would have to figure out where he had gone. Part of this was learning to interpret signs of movement and part of it was the hunter learning to put his mind into the same space as the animal and finding its trail through sensation. This is arguably the beginning of man’s ability to do abstract thinking. 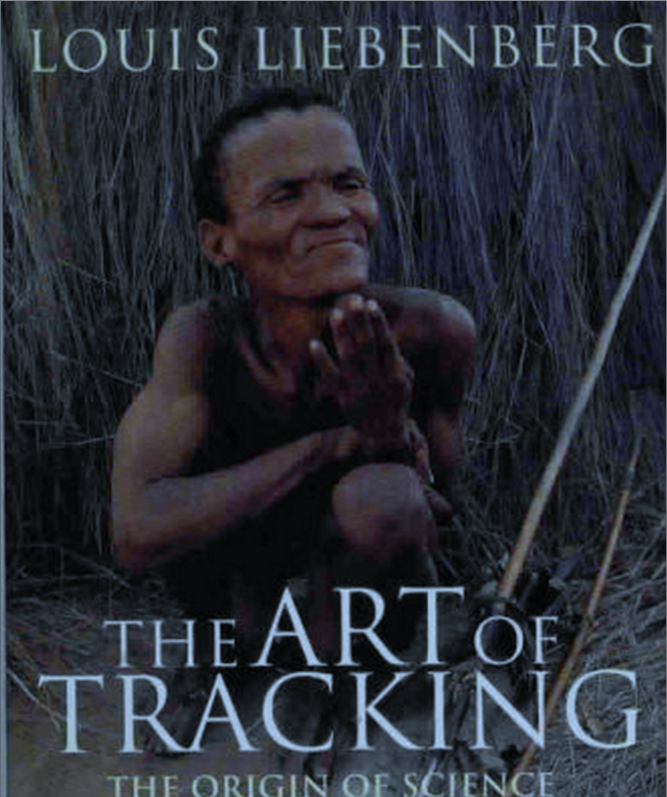 Our ability to feel love, passion and intellect all started with tracking animals during persistence hunting. Our higher capacity for learning all stems from running. Keep that in mind while I make this next point. I’ve written before about a number of the reasons our anatomy indicates we are born to be distance runners. They are all drawn from works by people like Daniel Lieberman. From toe to head we have biomechanics that only make sense if we are distance runners. Things like our short toes, our foot arches which absorb impact, the achilles tendon which operate as a spring when running, the large gluteus muscles, tendons in our neck that keep our head high, how we breath across multiple steps and the way our skin sweats to cool us. I can go on, but suffice it to say that the evolutionary record seems pretty clear. Survival demanded the efficient use of energy and resources. If running was the basis for capturing needed calories, then running had to be done as efficiently as possible. Even with all of the attributes that make us great runners, running had to be something more than just moving your feet fast. It had to be efficient and in a form that did not promote injury. Our ancestors had no shoes, or, at some point, only thin strips of leather to cover their feet. They grew up running in a natural form and they learned from each other the most efficient way to run. It wasn’t a random approach. Random meant inefficiency and more caloric output than could be sustained during persistence hunting. In trying to find the biomechanically correct way to run I discovered the Pose Method. It is the only method that stems from efficient biomechanics that require the least amount of muscle expenditure while providing the least injury prone form that is fast. It was developed by Nicholas Romanov in the 1970s. 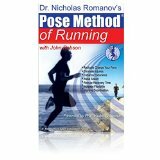 In the Pose Method, the focus is on simple attributes of effective running. The most efficient running happens when landing on the forefoot. It provides the least amount of time that the foot is in contact with the ground. Either heel or midfoot strikes require the foot to roll forward, which means energy is used to force the body over the foot. You can only heel or midfoot strike if you over stride and an over stride requires more energy. Over stride means that your foot extends outward beyond your hips. An overstride, like heel striking, means that you put on the breaks with every footstep and have to power over with your leg muscles to compensate. That is very inefficient from a caloric expenditure perspective. Forward motion is achieved by falling forward and using gravity to accelerate. The more the lean forward the more speed. There are some nuances to the fall. It is more like being pulled forward at the waste because the torso has to be straight to allow proper breathing and to keep balance. The landing foot is picked up, not pushed off of. A lot of runners push off with their landed foot. This uses a lot of muscle that doesn’t really add value, but does burn calories. By lifting the ankle up in direct line with the hip, the body can just fall to the next step and few muscles are used. An increased cadence (~90 steps per foot per minute) is a cruising speed. There is more too it, but then again, there really isn’t. The beauty of the Pose Method is that it allows you to run very fast with minimal exertion of large muscle groups. If you want to see a picture perfect example of how this type of running looks, here is a video of Dibaba. I am pretty certain she did not have any Pose Method training, but her natural method has all of the elements of a good Pose run. When you tie together persistence hunting with efficient running form, you have a solution that makes sense. In other words, for millions of years we ran naturally in a very specific way. A way that minimized the calories used but still allowed us to run great distances to capture prey that yielded a very positive caloric reward. Thanks for reading. I hope this has been interesting for you. As a writer, I am compelled to keep asking why something happens and digging a little more each time to get to a kernel of truth that makes for good character motivation. Enjoy. Run free. Run easy.